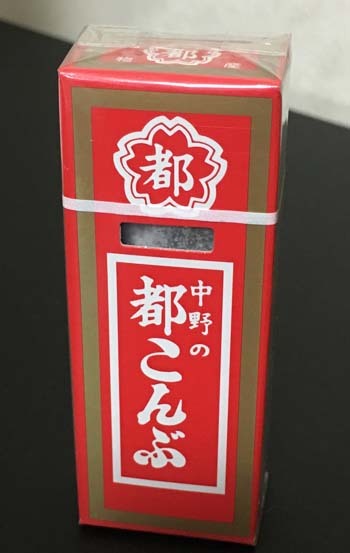 “Soft Plum” candy brings bento lunch to mind with its sour taste. With an ongoing quest for adventure in my life, I’m always interested in trying something new. Or, in this case, something old. Waiting in line to pay my bill at a restaurant, I regularly ignore all the trinkets and treats strategically placed for sale along the queue to the cash register. Recently, I got a little crazy, broke down and purchased an intriguing box of candy that appeared to be wrapped in a traditional package design from the 1930’s. I unwrapped to find one of the most interesting candies I have ever sampled. This discovery led me on a quest to hunt down all of the candy that appeared to have been invented even well before my parents were born, with the ultimate goal of tasting them all. Bontan Ame candy harks back to pre-war days, but still pleases modern taste. The first candy that I tried was called ‘Bontan Ame’ which in English means ‘grapefruit candy.’ It’s a soft, chewy, slightly lemon-orange flavored candy cloaked in a translucent layer of rice paper. At first, the rice paper looks like plastic wrapping and that’s the fun part because it feels as if you are about to eat the plastic but instead, it is edible and begins to dissolve as soon as you place it on your tongue. The second interesting old-fashioned candy is also swaddled in a dissolvable faux plastic rice paper covering. It is called ‘Soft Ume Candy.’ Essentially, this candy is exactly the same as the first, but with a surprisingly distinctive flavor. 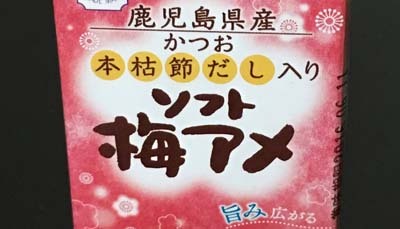 This candy bursts with the flavor of sour Japanese plum that usually comes as a part of a bento (box) lunch purchased at the super market. I have never really fallen in love with the taste of a sour plum, but it is an acquired taste, like your first sip of beer or wine. At first, it seems very unappealing but after multiple tastings over time, it begins to grow on you until you actually look forward to the flavor. 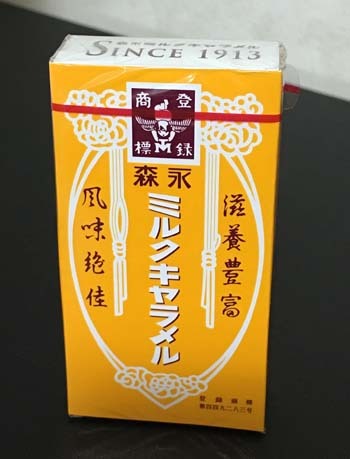 Milk Caramel has been around since 1913. The third candy is no spectacular party for the taste buds but the packaging has an old-fashioned appeal that harks back to its inception in 1930. The original package design has never been altered. The box invokes in me a sense of nostalgia for the simpler days before the distraction of smart phones and drones. The candy is called ‘Milk Caramel’, which is pretty self-explanatory as it is literally caramel candy, which is made with milk. This candy has got to be a dentist’s nightmare as it instantly sticks to your teeth, suffocating any previous dental work and encouraging cavities to flourish and feed upon virtuous teeth. The fourth candy embodies the stereotypical experience that one could expect from traditional candy. 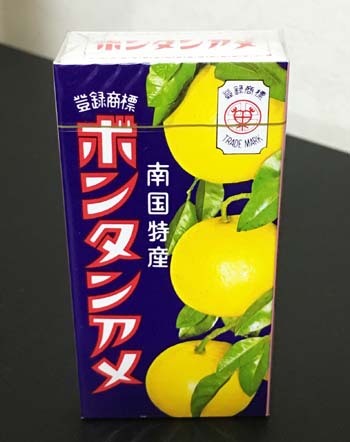 It is a combination of classic packaging and a bizarre flavor. The ‘acquired taste’ of this candy requires a much stronger constitution than the Sour Plum candy. This level of ‘acquired taste’ is comparable to that of a fine 20-year-old aged whiskey. Kelp candy is definitely an acquired taste. The candy is called Nakano Miyako Konbu and was invented in Osaka. The main ingredient is kelp (seaweed) that is soaked in a pickled vinegar and then glazed with a coating of black honey. This candy, with its distinctive taste, does not fit neatly into the average person’s definition of what candy should be. Nonetheless it is a candy that one could expect an elderly grandfather to graciously hand to you with a glint in his eye, as if he has just handed you a small chunk of paradise. This candy is not for everyone but is well worth experiencing at least once. All in all, I would encourage any parent to explore the adventure of traditional candy tasting with the kids. The main reason I am a fan of these tasty treats is that they actually have some food value and are not just made of flavorless sugar powder. They burst with naturally occurring flavors that are completely distinctive from any that your taste buds have ever savored before if you were born and raised in North America.